We will use our talents, expertise, experience, and ambition to provide financial confidence to those who have entrusted their plans and resources to us. Our mission is to serve our clients and be good stewards of the resources entrusted to them and us, similar to the parable of the talents that Jesus described in Matthew 25:14-30. Jesus says, "For it will be like a man going on a journey, who called his servants and entrusted to them his property...then he went away...now after a long time the master of those servants came and settled accounts with them. And he who had received the five talents came forward, bringing five talents more. His master said to him, 'Well done, good and faithful servant. You have been faithful over a little, I will set you over much. Enter into the joy of your master.'" Since we believe that when we die we will stand before God, and we will give Him an account of what He has entrusted to us, we want to serve Him and our clients by handling money God's way, and being good stewards of the resources entrusted to us. We believe that God created the earth and man, and that Adam and Eve sinned, and therefore God sent his son Jesus to die for our sins. If we believe in Jesus, and confess with our lips, we will enjoy eternity in heaven. For this reason, we believe that our number one objective is to believe in God, and follow His principles. We do that by following God's truth that He gives us in the Bible. In the Bible, God commands us to give 10% of our earnings to him, He instructs us to save money, He encourages us to live debt-free, He gives us guidance on investments, He discusses income taxes, and He talks about estate planning. Because we believe that the Bible is absolute truth, we try to integrate God's principles with how we advise our clients. We also believe in education to compliment this biblical truth. We believe that the CERTIFIED FINANCIAL PLANNER™ designation is the standard of excellence in the financial advisory industry. The CFP® designation focuses on estate planning, income tax planning, retirement planning, investment management, and insurance. Due to the rigorous education and testing of the CFP® profession, we believe it is prudent for our clients to have this expertise as they aim for financial confidence. We believe in independence. In order for us to place our client's best interests first, we believe that we can't associate with just one company. Rather, we believe we need to perform our due diligence as advisors, and after we learn about our client's unique dreams and goals, we tailor a financial plan and investment recommendation based on their objectives. No one company can be all things to all people, hence, we choose to be independent. We believe in being active with our families, and our community. As a younger firm with many children amongst us, we value the time we are able to spend with our families. While we work hard and serve our clients well, we also take time to be away from work so we can influence the next generation. 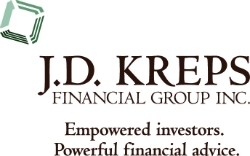 Our vision is to be recognized as one of the top 100 financial advisory firms in the U.S. While this is a lofty goal in a rural farm country, we believe if we serve our clients well, and provide service based on our mission, we have the aptitude and ability to be recognized as being truly excellent at what we do. Our highest priority is to create value and confidence for our clients by offering the following comprehensive services. We recognize that our clients lead active and complex lives. They understand that managing their finances is more complicated and time-consuming than ever before. We believe they acknowledge that working with specialized professionals provides them with a level of confidence. Wealth accumulation and estate preservation strategies includes coordinating our planning with tax, legal and insurance professionals. We follow a disciplined approach to balance risk and return, and believe that educating clients enables them to make informed decisions. For more information on our firm, we invite you to explore our web-site, to call us toll-free at 866-545-4685 or to email us at [email protected]. We look forward to discussing your personal needs and how we might provide financial planning support to you.